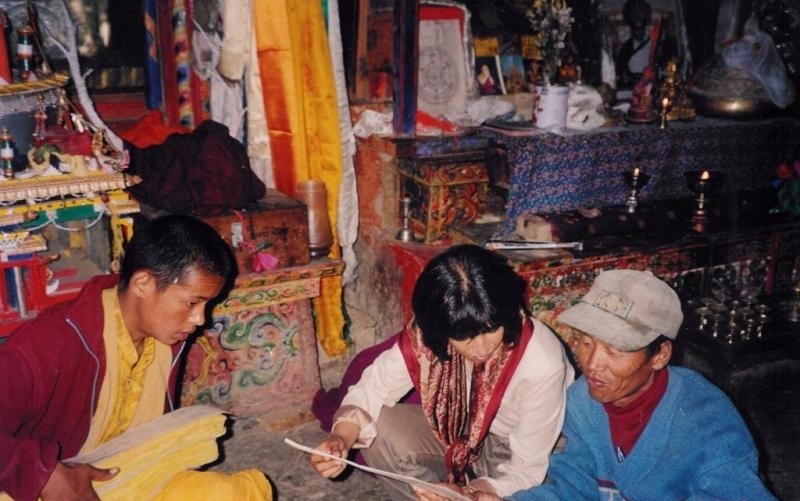 As director of Pragya – an Indian NGO focused on the development of sustainable communities in India – Gargi Banerji has spent the last decade working to maintain the sustainable management of the Tibetan Plateau environment supporting the local peoples who depend on this fragile ecosystem for their livelihood. 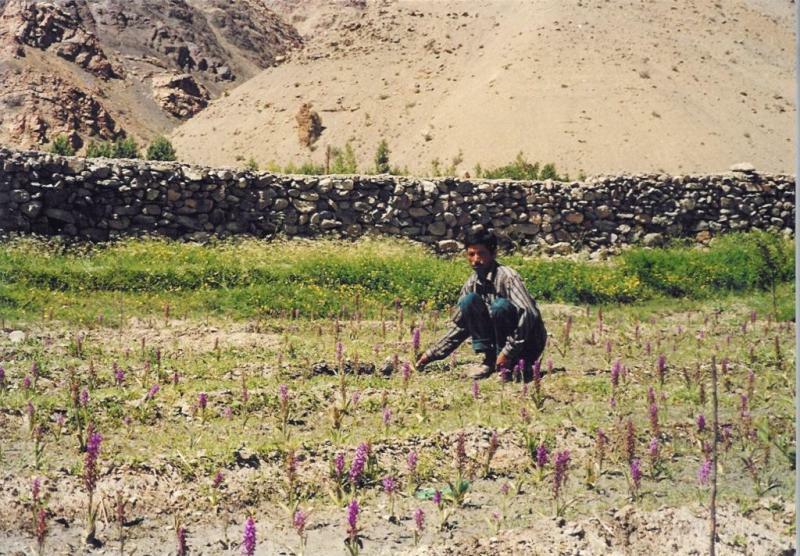 One of the biggest threats to the Himalayan flora and fauna system comes from the large scale removal of mountain herbs and plants of medicinal value which are threatened by the increasing demands of the international medical and perfume industries. The region is estimated to contain 10,000 species of plants, of which a tenth are harvested indiscriminately for their medicinal value, without regard for regeneration of species. Government development programmes involving plantations of non-native tree species is further damaging traditional habitats. Furthermore little of the benefits of commercialisation flow back into local communities. Gargi’s environmental interests have long-focused on understanding of mountain systems and the utilisation of traditional knowledge in association with appropriate technology. Her past work has encompassed research, development and environmental management projects throughout the Himalayas, in association with international development organisations, such as Department for International Development (DFID), Indian government departments and grassroots organisations. Gargi’s project is a community-based initiative promoting traditional knowledge and customs alongside the commercial development of traditional herbal medicines to ensure sustainable utilisation of the medicinal and aromatic plants. Working in the districts of Lahaul and Spiti in north-western India and also part of the Tibetan Plateau region, she and her team seek to involve the Tibetan monks (lamas), medicine practitioners (amchis) and local women in the collecting, processing and benefits of the research and product development in thus improving their social and economic status. Ethnobotanical research will produce a comprehensive inventory of medicinal plants helping to set priorities for species and the forest areas needing preservation. This will include establishing horticultural nurseries including ‘herb orphanages’ for rare and slow-growing species and the creation of mixed micro-plantations of endemic species through community forestry initiatives as well as herbal gardens for low-density, high-value plants. Such effective intervention will reduce the habitat destruction and mismanagement of this area of rich biodiversity which is placing local traditional health and environmental systems at risk and will ensure the rights of the indigenous people over their natural and cultural heritage. Gargi Banerji received WFN Continuation Funding in 2003, 2005 and 2017. A major output of the Big Lottery Funded project partnership between Pragya and WFN was the completion of a report to research and consider prospects for selling sustainably sourced medicinal and aromatic plants (MAPs) from rural Himalayan communities to international markets. The report was authored by Simon Mills and Joey Lee of Plant Medicine CIC in the UK, who were independent of the project. To view the report please click here. Gargi Banerji, Director of the Indian NGO Pragya, won a Whitley Gold Award in 2000 for her work with marginalised communities of the Indian Himalayas. Following a series of very successful Continuation Funding grants, in 2004 WFN decided to partner with Pragya more closely, to assist in the development of an ambitious project plan for ‘Water Access and Wasteland Development’ which would be eligible for international funding from the UK’s Big Lottery Fund. The resulting £516,429 grant over five years marked a key watershed in both the development of WFN and Pragya, enabling each to develop capacity for international partnership and shared learning. To mark the end of this 5 year project, a detailed Project Leaflet has been produced to share best practice and encourage interested NGOs to get in touch. To read the end of Project leaflet, click here. The Big Lottery Fund today announced a grant of £516,429 to WFN that will enable the Fund to build on its existing partnership with Pragya in targeting the needs of vulnerable communities in the Himalayan desert. 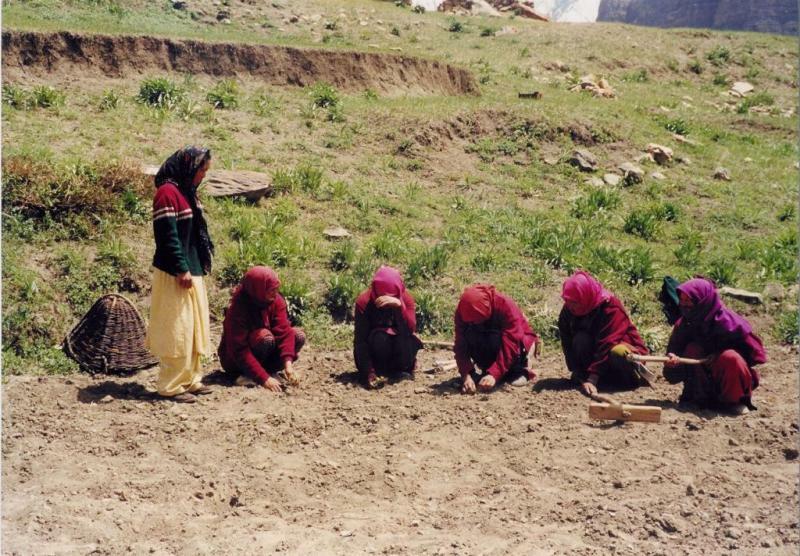 Working principally in the Indian state of Himachal Pradesh, WFN has worked closely with Pragya for more than 5 years conserving and cultivating medicinal plants in the area. The new funding will allow the expansion of the project to ensure people have greater access to food security and credit during recurrent droughts. The project will also boost access to clean water for the landless people, farmers and pastoralists in the cold desert areas and will rehabilitate degraded lands for up to 40,000 people living in the project area.